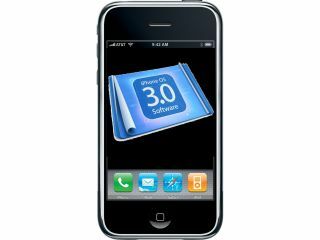 It may come as a surprise to some, but Apple's free 3.0 re-fresh for the iPhone didn't just add cut-and-paste functionality to the handset but sorted out a number of flaws, which could have left its users vulnerable to malware and the like. So, good news for the iPhone contingent then, but bad news for iPod touch users who have been left out in the cold, unless they pay a premium for the update - £5.99 to be precise. "If left unpatched, hackers could run malware on your iPhone just by you visiting a website or viewing a maliciously-crafted image," says Graham Cluley, Senior Technology Consultant at Sophos. "Although we haven't come across any examples of hackers creating malware to exploit these vulnerabilities as yet, it is vital that iPhone and iPod touch users understand the importance of this latest update. "Without it, they are leaving themselves potentially wide open to attack - it pays to remember that no operating system is invincible." As for having to pay for the update, Cluley explains: "There's no doubt that some iPod touch users will be unhappy that they have to pay for their devices to be fixed, and it's certainly unusual for a company to charge for important security patches like this. "In an ideal world Apple would make free fixes available for iPod Touch users who don't feel they need cut-and-paste and other new features, but do want to be able to use the internet securely." For more on this, visit www.sophos.com.